It’s estimated that 1 in 12 men and 1 in 200 women have some form of color blindness, or color vision deficiency as it is more accurately known. While not considered a serious medical condition or a disability, color blindness can make aspects of everyday life difficult. One area of frustration for people who are colorblind is the use of color to impart information. Whether used in charts and graphs to communicate numerical data or in calls to action and hyperlinks to indicate possible paths, color can make any experience difficult for colorblind users. In this talk, Dave will explore the science of color vision and discuss how color matters to both usability and accessibility. He will introduce a practical approach to designing with color that keeps users with color vision deficiencies in mind. 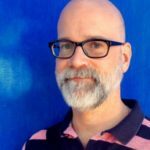 Dave Cooksey is a Senior UX Researcher at Charles Schwab. He was co-chair of the 2017 IA Summit, has served multiple times as Chair of PhillyCHI, and also happens to be colorblind.